I know the photo quality is horrible, but you get the idea. Notice the return address. Is this one of the letters that she asked you to support her after you graduated from college? 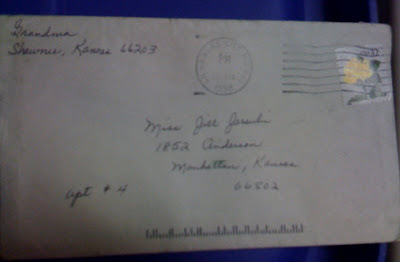 Everyone knows Grandma's handwriting, she wouldn't have even needed Shawnee, KS on it and you would still have known who it was from before opening.